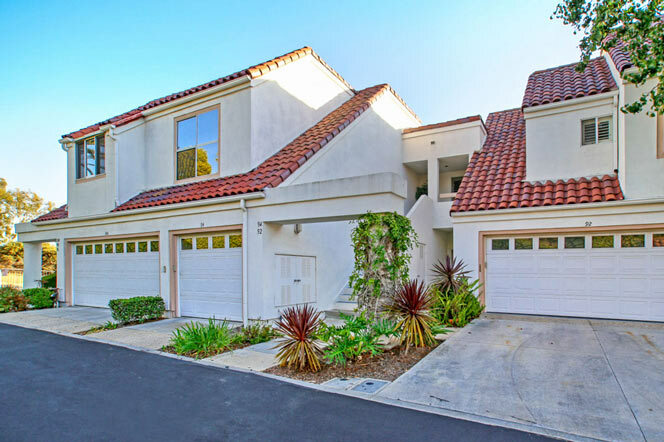 The Encantamar condo community in Dana Point is located in the hills and features a total of 153 condos in the low $600,000 range up to $750,000. Here you will find a combination of two to three bedroom town homes. The condos are built in the Spanish style and red clay tile roofs. 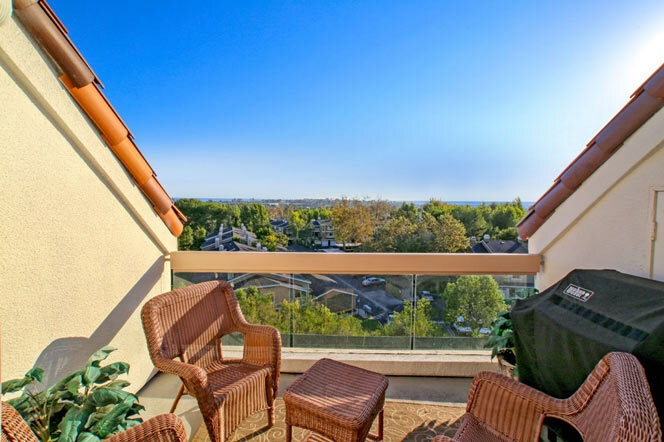 Many of the condos have great valley and ocean views. All the current available Encantamar condos for sale and for lease are listed below. Please contact us with questions regarding any of these properties. The community is a gated community with entrance only allowed to residents and their guests. You will find a one large association pool as pictured below located at the entrance of the Encantamar. Association dues average $400 a month and include the community pool, spa, picnic area, gym and club house. Professional community management company handles the association at 949-768-7261. 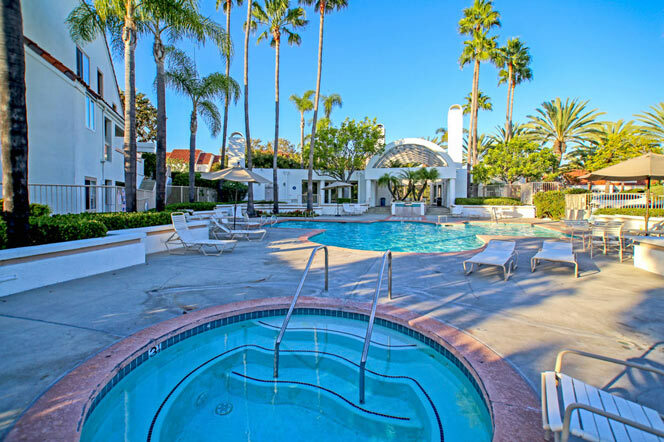 The Dana Point Tennis club is located directly above these townhomes and is a private tennis club not associated with Encantamar.